Welcome to the USIP Press Bookstore! Following its mandate to promote the prevention, management, and peaceful resolution of international conflicts, USIP is committed to publishing significant works that offer new insights. Starting with four titles in the fall of 1991, USIP Press Books has published more than two hundred titles on peacebuilding, conflict analysis, and international relations. You can check out our global reach in this USIP Press Influence Map, indicating subjects covered in our recent and key publications. Please see our forthcoming and most recent books below and search for more titles by subject, title, author, or series. 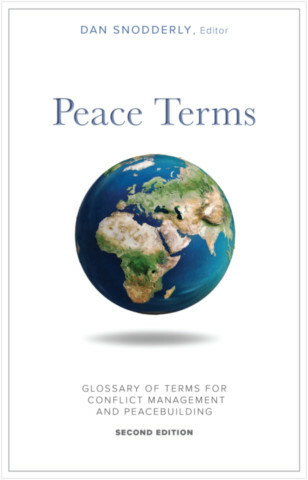 An extensive glossary with short definitions of a wide range of complex and often confusing terms used in the field of peacebuilding. of refugees fleeing instability and violence. regional legal instruments (such as treaties), and complete a host of other key tasks. which are effective, which are not, and under what circumstances. 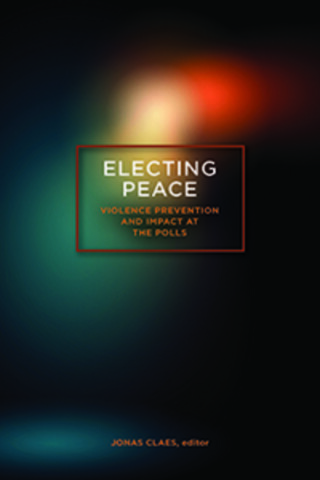 Targeted peacebuilding efforts are frequently used to prevent election violence. election violence prevention to achieve its intended outcome merits further investigation. that can be applied in other electoral contexts. 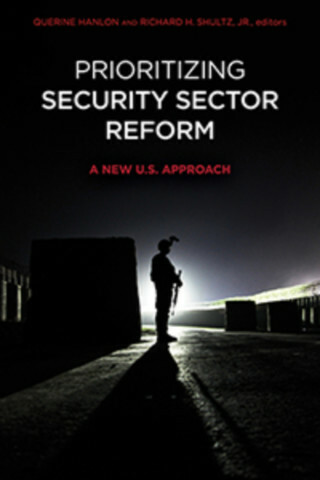 Edited by Querine Hanlon and Richard H. Shultz, Jr.
Prioritizing Security Sector Reform: A New U.S. Approach argues that security sector reform (SSR) should be at the core of a new U.S. policy to strengthen the security sector capacity of countries where U.S. interests are at stake. As the United States withdraws from a more interventionist policy, it cannot wholly ignore the growing disorder in fragile environments around the globe. In place of large, boots-on-the-ground interventions relying on expensive train and equip programs with only fleeting impact, the United States needs a smarter tool that can address both the effectiveness and accountability of host nation security forces and institutions. Properly designed and implemented, SSR can be that tool. Today’s fragile environments feature a host of postconflict and postauthoritarian states and transitioning and new democracies that have at least one critical thing in common: Their security sectors are dysfunctional. Why these states cannot fulfill their most basic function—the protection of the population and their government—varies widely, but the underlying reason is the same. The security sector does not function because security sector institutions and forces are absent, ineffective, predatory, or illegitimate. Washington needs a new approach for engaging in fragile environments and a policy for prioritizing where it engages and for what purpose. Improving these governments’ ability to deliver security appropriately, effectively, and in accordance with the rule of law could well shift the battle in their favor, with lasting implications for the fragile state, the broader region, and for the United States. The focus of this book is how the United States should design and implement a security sector reform policy. In the earlier chapters of the volume, the principles underlying security sector reform are examined. Three case studies—Libya, Tunisia, and Mexico—highlight the types of environments in which the United States will likely need an SSR approach and the capabilities required for each. 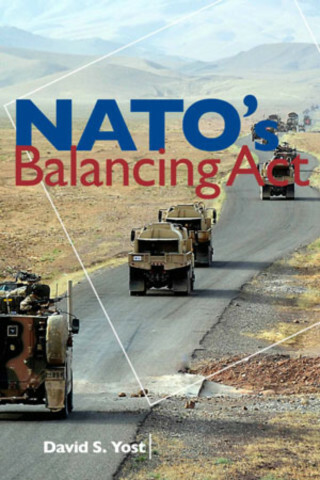 The volume then analyzes the UK and Canadian security sector reform policy experiences, drawing lessons and recommendations for the United States. Next, existing U.S. policy and capabilities for security sector reform are explored. Finally, the volume maps out a new U.S. approach and policy for security sector reform—including a proposed security sector reform Presidential Policy Directive. "Querine Hanlon and Richard Schultz’s new book Prioritizing Security Sector Reform not only deftly reaffirms the critical importance of security sector reform to stabilize fragile and conflict-affected states, but also outlines a cogent and comprehensive policy framework to reinvent U.S. security sector assistance. This book is a welcome addition to the existing literature on SSR and should become required reading for U.S. government officials engaged in any facet of overseas security assistance." "Prioritizing Security Sector Reform drives home why security sector reform is a complex and central policy problem. It is crucial to both combating violent extremism and to enlarging just governance. This volume offers a variety of insights from British and Canadian techniques and the most significant contemporary cases of Libya, Tunisia, and Mexico, as well as offering a crisp, unified vision for U.S. policy approaches and tools. Its recommendations will be useful to policymakers and thought-provoking to academic students and analysts." "Given today’s global volatilities, America’s interest in helping our allies and partners build their security force capacity will likely get stronger in the years ahead. Recent history shows how challenging it can be to generate foreign military and police forces that are operationally proficient, sustainable, professional and well-governed, and hence viewed as guardians of peace and security by their fellow citizens. Querine Hanlon and Richard Schultz have developed a book that provides much-needed conversation on security sector reform." 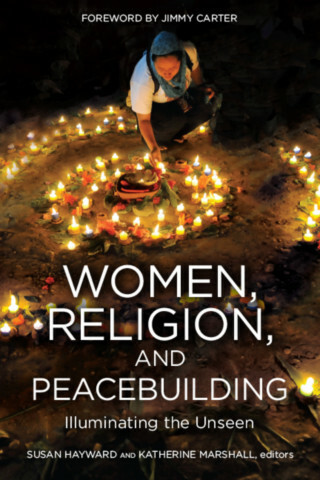 Ultimately, Women, Religion, and Peacebuilding is a call to change the paradigm of peacebuilding inside and outside of the world’s faiths, to strengthen women’s abilities to work for peace and, in turn, improve the chances that major efforts to end conflicts around the world succeed. In an era of increasing dispersion of political will and authority in the international system, the approaches to and methodologies for peacemaking are changing. 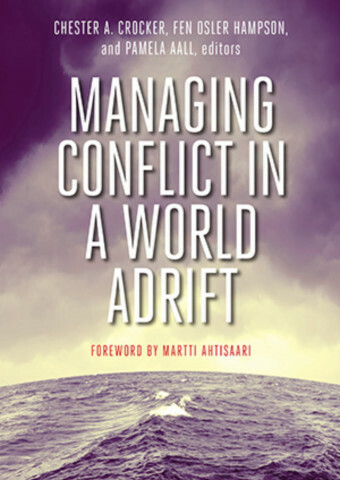 "Managing Conflict in a World Adrift" provides a sobering panorama of contemporary conflict along with innovative thinking about how to respond now that new forces and dynamics are at play. • Are we in the midst of a global political shift where power moves from central institutions to smaller, more distributed units? • What is the nature of the relationship between political, social, or economic change and the outbreak and spread of conflict? • And what are the consequences of these factors for conflict management? Emerging systemic and societal transformations call for the fresh thinking and approaches to peacemaking featured in "Managing Conflict in a World Adrift". Crocker, Hampson, and Aall bring together leading authorities in the field to guide students and practitioners of international relations and conflict management in a time of ambiguous and asymmetrical world order. Peacemakers of today and tomorrow will gain from this text a broad and deep understanding of the current situation along with the strategies and skills needed to prevent and resolve conflict. 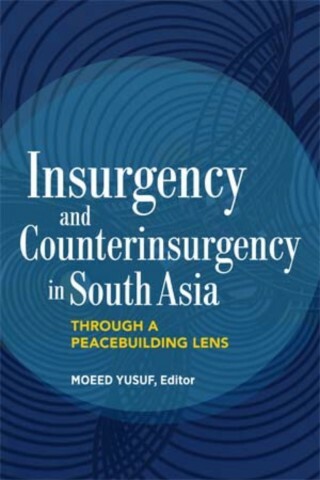 Insurgency and Counterinsurgency in South Asia underscores the need for South Asian decision makers and relevant actors around the world to systematically examine the nature of intrastate insurgent movements. Using the "conflict curve" theory of conflict evolution, ten experts native to South Asia consider the trajectories of four of the most salient armed insurgencies in a region that has experienced many such sustained conflicts and the counterinsurgent response to each. Case studies on India, Pakistan, Nepal, and Sri Lanka lend important lessons on the dynamics of each conflict while collectively offering insights into how and why insurgencies occur and transform as well as how they can be prevented or resolved. Through a peacebuilding lens, the contributors ask, What incentives led resentful groups to resort to armed insurgency? And, once insurgency was under way, how was it managed? 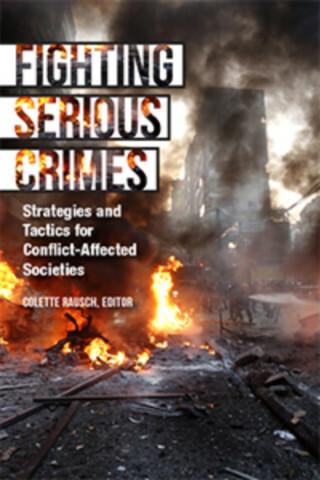 While many studies of insurgency and counterinsurgency emphasize military tactics and terrorism responses, this volume hones in on policy-relevant conclusions pertinent to the peacebuilding field. Detailed maps created especially for this volume illustrate conflict regions. Emphasizing nonviolent means to prevent or mitigate conflict, Yusuf and the contributors highlight the opportunities and constraints in applying peacebuilding approaches across the conflict curve, identifying recommendations for the disputing parties as well as for peacebuilders. In How We Missed the Story, Second Edition, Pulitzer prize-winning journalist Roy Gutman extends his investigation into why two successive U.S. administrations failed to head off the assaults of 9/11 and to look at the U.S. military intervention that followed. With American forces due to withdraw in 2014 from a country far from stable, he suggests that the longest ever U.S. military intervention was doomed by the same flawed outlook that prevailed in the 1990s. During that twenty-five-year span, U.S. policymakers showed little interest in the country's history and culture and assumed Afghanistan could serve principally as a platform for attacking U.S. foes. Gutman contends that the key to preventing a reversion to radical jihadism lies in acknowledging the enormous sacrifices Afghans made in the 1980s war and and committing to the country's long-term stability. Anyone who thinks Afghanistan doesn't matter, or that Washington can walk away once again, is "missing the story." Expanded by nearly a third, this new edition focuses on American missteps from 1989 through 2012. Gutman draws upon his own research and interviews, beginning with the Soviet withdrawal that gave way to the American withdrawal of the 1990s and the ensuing security vacuum Islamic militants used to American detriment. While many political figures and outside observers blame the U.S. lack of preparedness for the 9/11 attacks on intelligence and law enforcement agencies, Gutman argues that the strategic failure prior to 9/11 lay in U.S. foreign policy. Addressing 9/11 solely with a counterterrorism approach, Washington "missed the story" and failed to put things right. By going to war in Iraq, it effectively abandoned Afghanistan again. This study also illuminates American engagement in the broader world after the Cold War and asks: Whatever happened to foreign policy? Anyone who wants to avoid repeating the mistakes of the past, whether a general reader, scholar, or government official needs to know How We Missed the Story. A recurring theme throughout the volume is the complex, multiactor conflict environment in Afghanistan and the resulting need for more inclusive political arrangements. 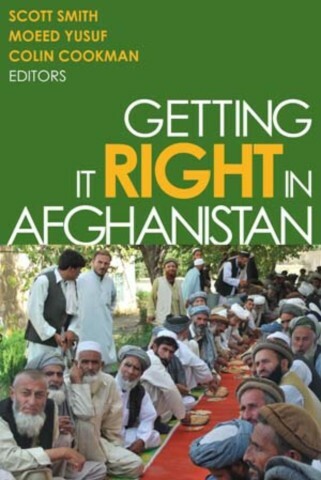 The first set of chapters focus on internal political dynamics and Afghan political actors' views on a peace process. 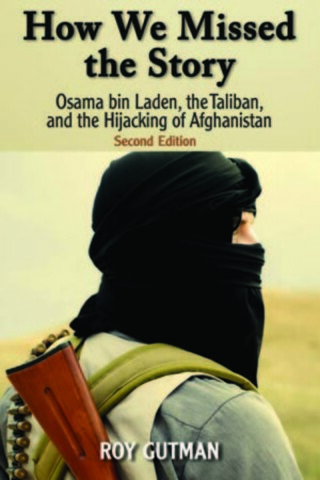 The second section covers Afghanistan's neighbors and their role in shaping the country's internal politics. Efforts to date to implement a peace and reconciliation process for Afghanistan are covered in the final section. Taken together, the book conveys the complexity and challenge of building an enduring and stable political consensus in Afghanistan's fragmented environment. Since beginning work in Afghanistan in 2002, the U.S. Institute of Peace (USIP) has been informing policy through accurate, clear analysis of the conflict that could shape a negotiated settlement. Comprising a collection of its analysis from 2002 to the present, Getting It Right in Afghanistan offers valuable insights to the policymakers charged with developing a new course of action for contributing to peace in Afghanistan and regional stability.